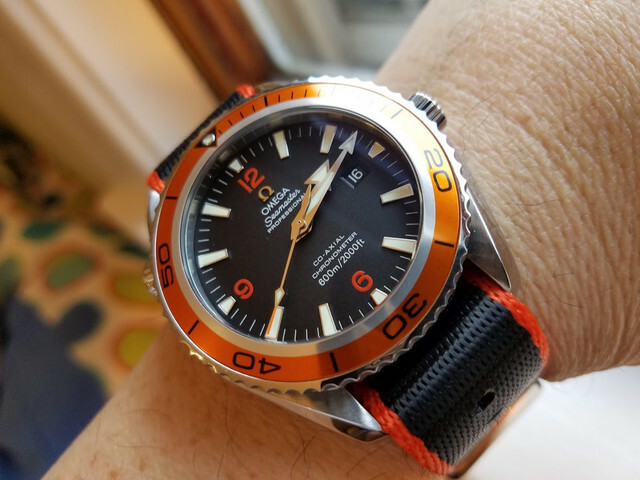 For sale is my Omega Seamaster Planet Ocean XL Orange diver (Ref # 2200.50.00). 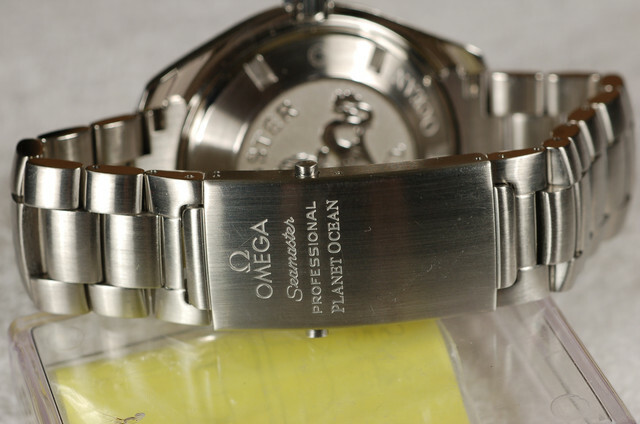 This Omega Seamaster Planet Ocean Big Size Chronometer features a 45.5mm stainless steel case with caliber 2500 Co-Axial automatic movement. It is surrounding a black dial with orange hour marks in 6, 9 and 12. Functions include hours, minutes, second, helium release valve and date. This watch comes with the factory stainless steel bracelet with folding buckle. It has full links good for 8"+ wrist. The overall condition is near-mint. The sapphire crystal is perfect. I cannot detect any scratches on the AR-coating. Very strong lume. No nicks or dings. 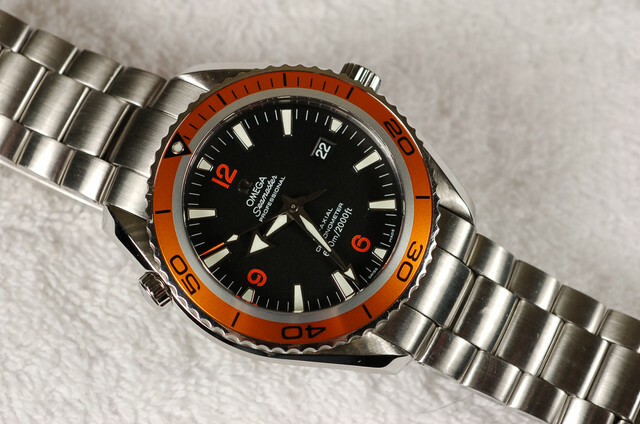 Such a great opportunity to obtain this Omega PO XL in good price! 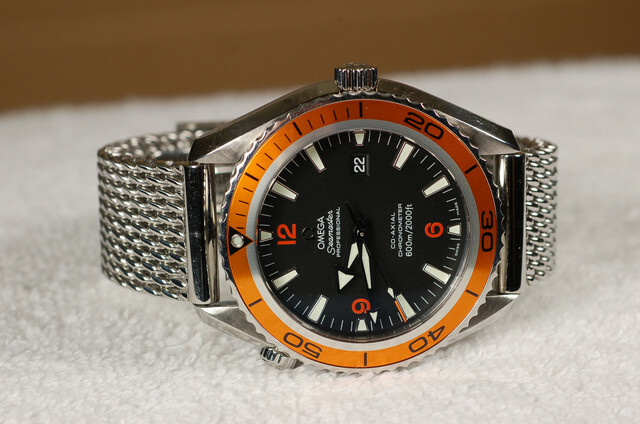 This package set includes the Omega PO XL with OEM bracelet & full links, SS mesh bracelet with all spare links and a gorgeous matching NATO. The original warranty cards and booklets are not included. My asking price is now reduced to $2,695 / OBO plus shipping & insurance. Local F2F transaction is welcome. Ton of references upon request. Thanks for looking!